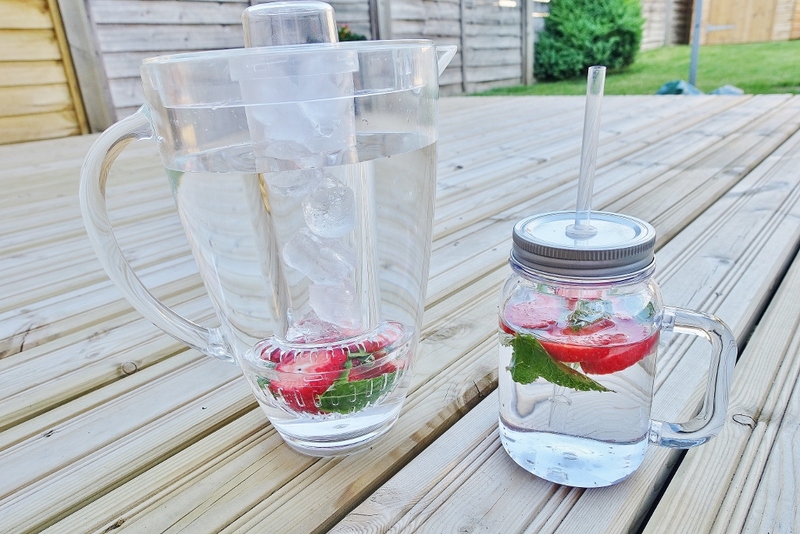 If your feeling like me and have already consumed far too much alcohol this summer; your likely in search of a healthy detox drink; even better if it tastes good too. 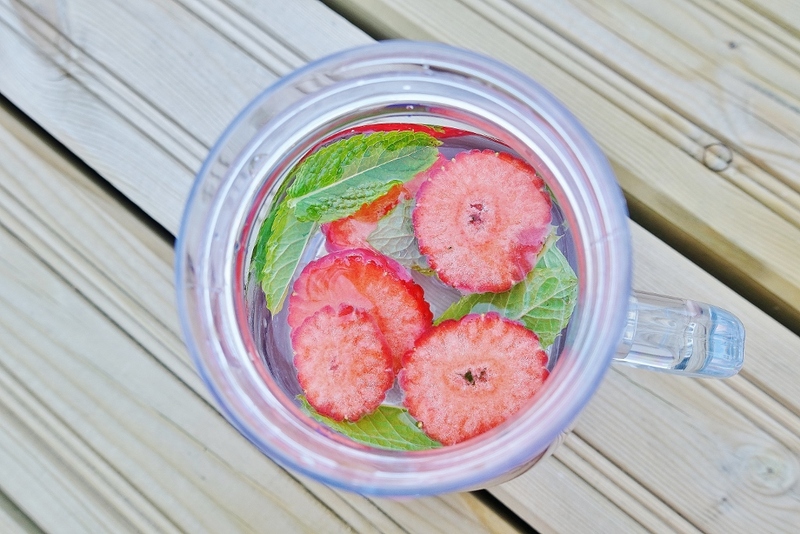 How about a simple, natural water-based drink, infused with some healthy fruit and/or herbs? 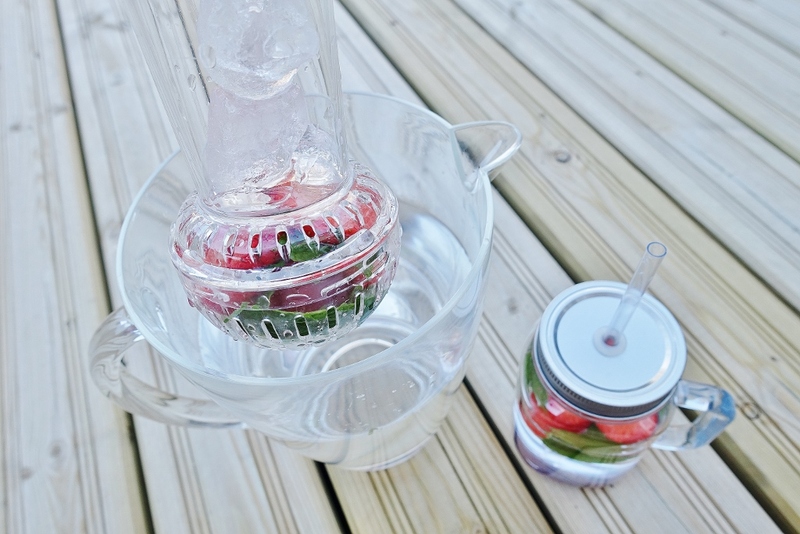 I received this fabulous infuser pitcher jug, with a special compartment for infusing fruit into drinks and couldn't wait to have a go at infusing myself. I also got these handy plastic jam jars complete with straws which are perfect to have outside with a BBQ while successfully keeping those pesky flies and wasps at bay. 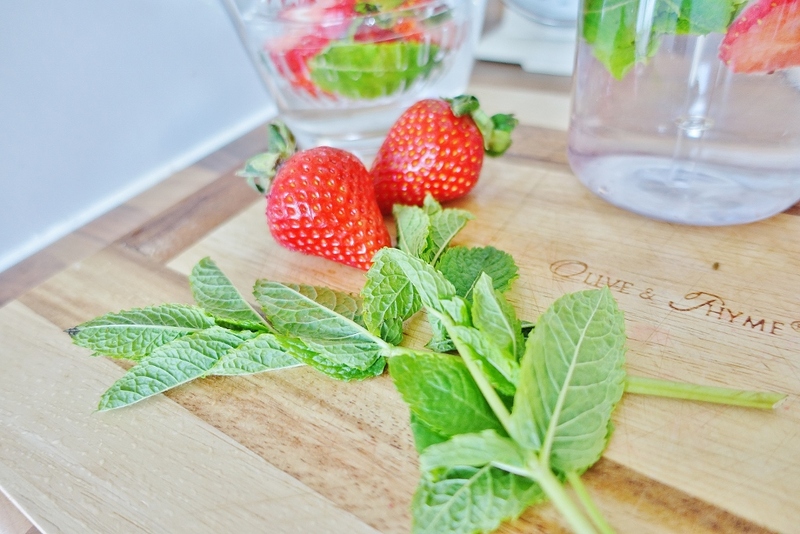 For the infusion above I simply popped in some mint leaves and sliced up some strawberries and added in some ice, left to infuse in the fridge for an hour or so and voila! You've got yourself a tasty alternative to water! Whats more; its great for when you've got some left-over fruit about to go out of date and you can just throw it in for good measure and see what healthy infusions you can create. So what are you waiting for? 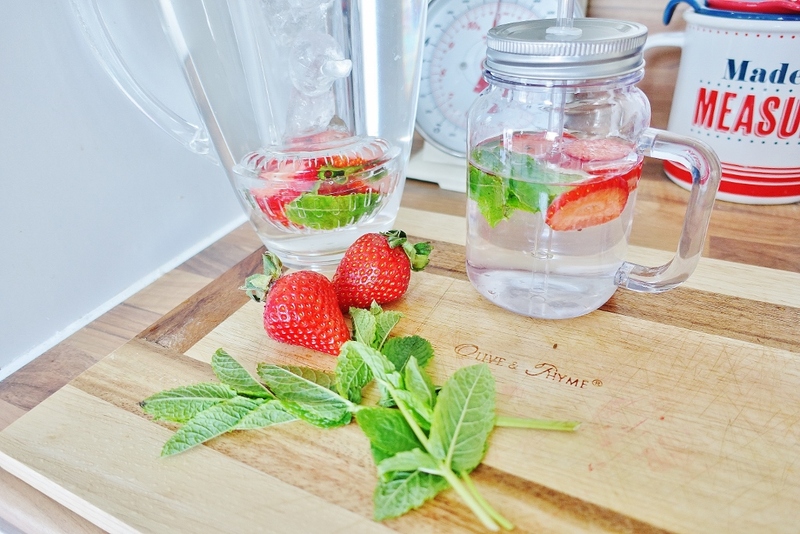 These are healthy, hydrating and homemade! 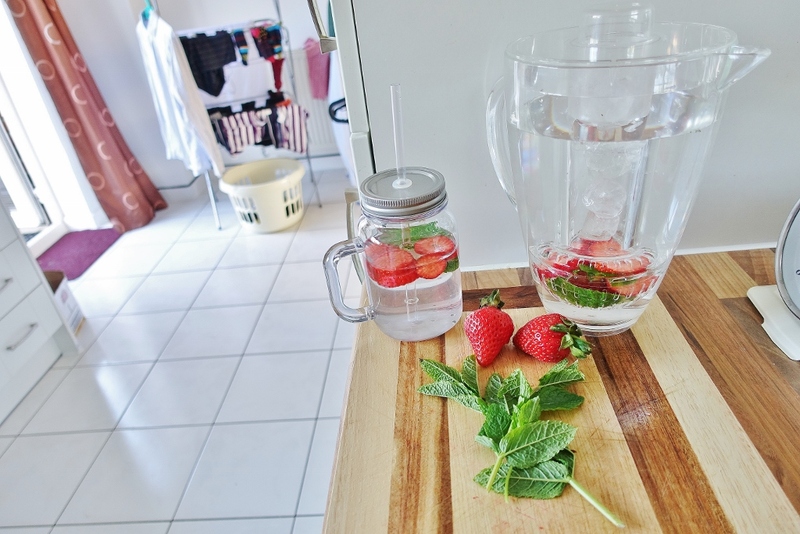 For some more inspiration, here's some alternative fruit-infused water drinks from BuzzFeed! Sounds delish. 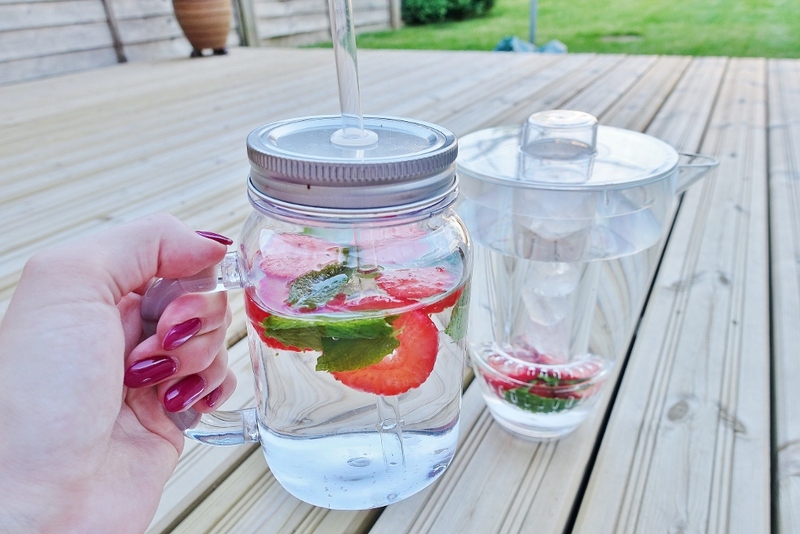 I always drink too much water to bother with infusing but a good idea for summer BBQs! Love this! Want to see what this is like, especially because I'm in desperate need of a detox. Those plastic jars are so cute! This sounds really tasty! 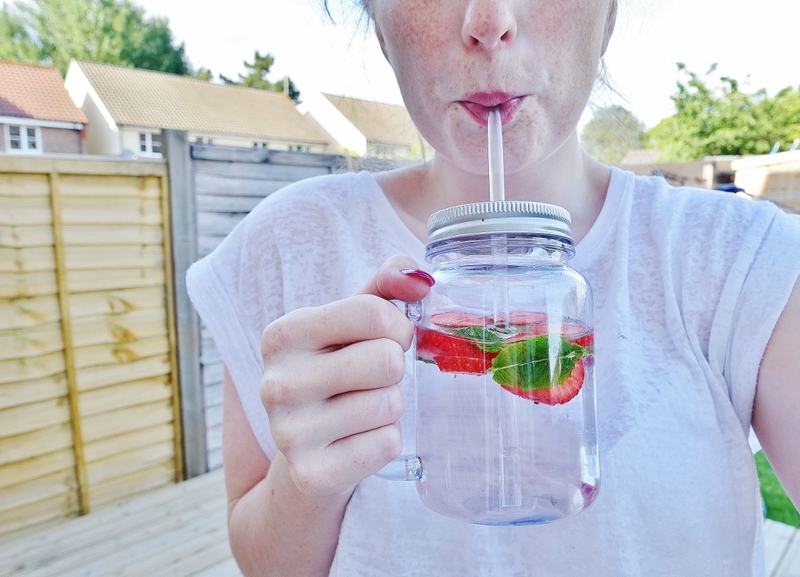 That jar is super cute, I want it haha. Hello fellow readers! I really appreciate you taking the time to read my blog, I'm glad you've stumbled across my little world within the blogosphere and I'd love to hear you're comments and feedback.